Welcome to part 3 of our Sew Organized series. 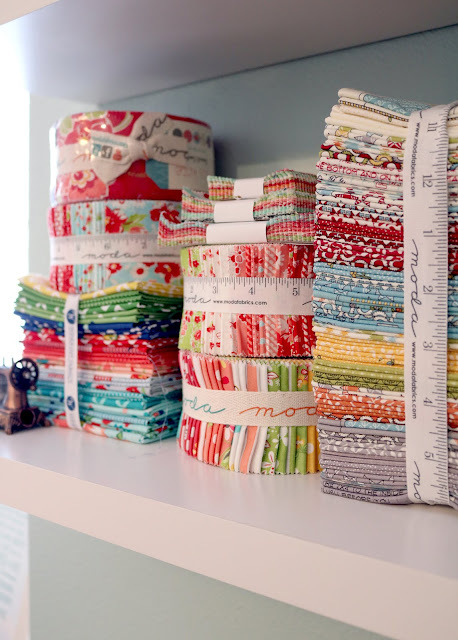 Today we're talking all about fabric - ideas for storing and organizing yardage, pre-cuts, fat quarters, scraps...all of it. 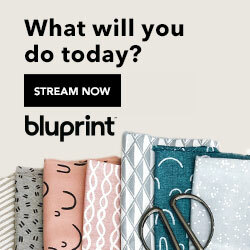 First of all I want to just say that there's no one best way to organize your fabric. We all create differently and we're all inspired by different things. If you already have a system in place that works for you, great! 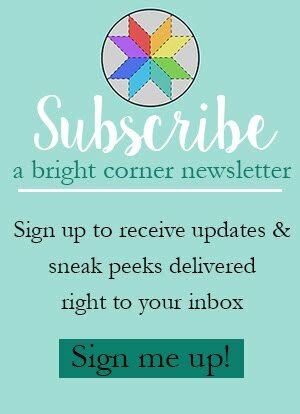 I'd love to hear any tips and ideas you have to share. 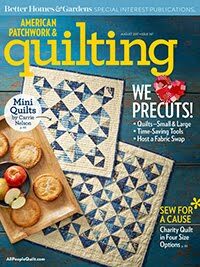 If you don't have a system yet, take a minute to think about how you choose fabrics when starting a quilt. Do you first reach for a particular designer? Or do you look for certain colors first? Or maybe you like to work in specific styles, like Civil War era? To be honest, I use a combination of all of these! 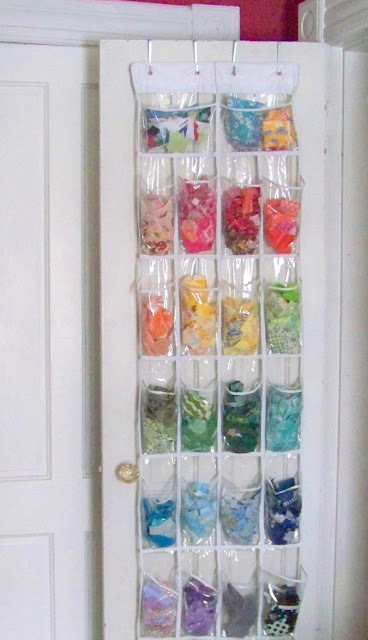 Here's where I store most of my fabric stash. As you can see, I use a combination of shelves and bins to organize and store everything. When I start a project I often begin with colors in mind. So it's most helpful to me to have my yardage stored by color. I try to keep myself limited to one stack of each color but as you can see in the photo below my aqua and green stacks have overflowed and are taking over the purple and brown spots. Time to thin those out a little! 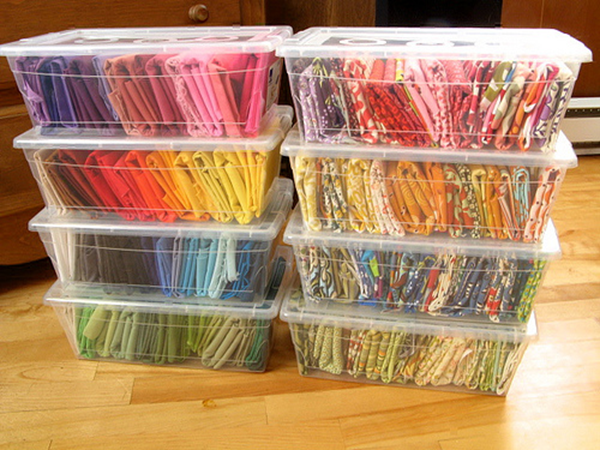 I also prefer to sort my scraps by color but you could also sort them by size. My scraps are stored in the bins on the very top shelf and everything is just stuffed in there. When I need to dig through for a scrap project it's kinda fun to just dump the whole bin out and make a colorful mess. Clean up is easy because I just stuff everything back in, click on the lid and put it back on the shelf. This is a view of Lori Holt's storage - cute baskets with everything sorted by color. There are a few sizes which are handy to keep separate from the others. 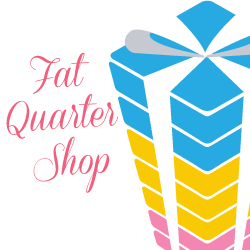 Anything about fat quarter size or bigger is folded on the shelf. Everything else is sorted by size or stuffed into the scrap bins. 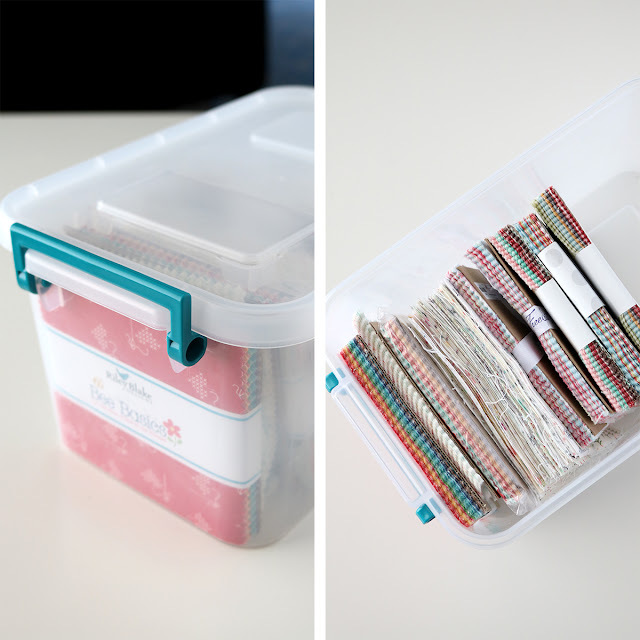 Orphan jelly roll strips and leftover binding strips (2.5" wide) get put together in this bin. This is sure handy if I ever want to make a scrappy binding! 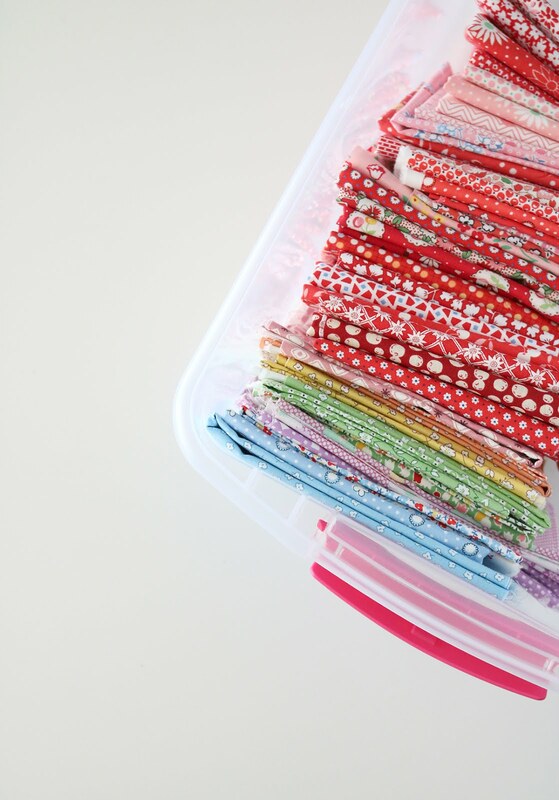 I corral charm packs in this bin - which makes them easy to find when I'm ready to make a charm pack friendly quilt. 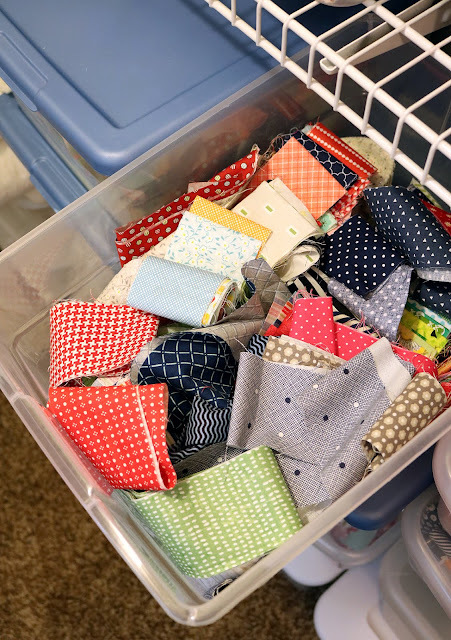 In this bin I also have a stack of hand cut low volume charm squares. 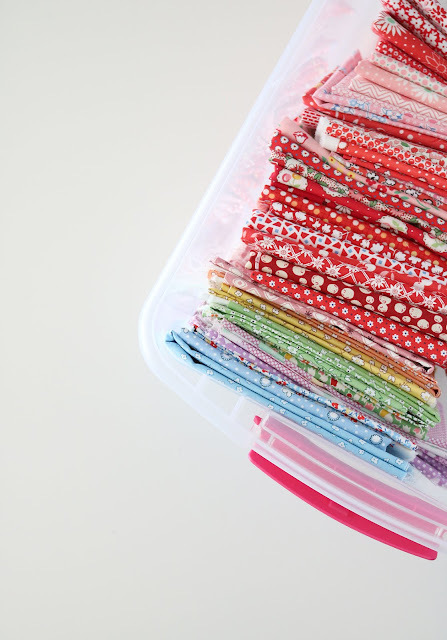 This bin keeps them from fraying and I can easily grab a few to add in to projects! And 2.5" squares go into this bin. These are so great for small projects and scrap projects like these! Sometimes if I don't have an immediate use for a mini charm pack, I'll open it up and put all of the mini charms in here with these squares. I don't have a ton of jelly rolls, fat quarter bundles or layer cakes. A few are kept in the closet, and my favorites are on a shelf and do double duty as cheerful decor! ...or displayed in a lovely cabinet like this one! I love it with the cake stands on top and the bundles of fabric all arranged inside. If you have a favorite designer it's nice to be able to find everything from that designer without doing a lot of digging through everything else. I have a friend who loves everything from Fig Tree & Co. and keeps all of her Fig Tree prints together on the shelf. 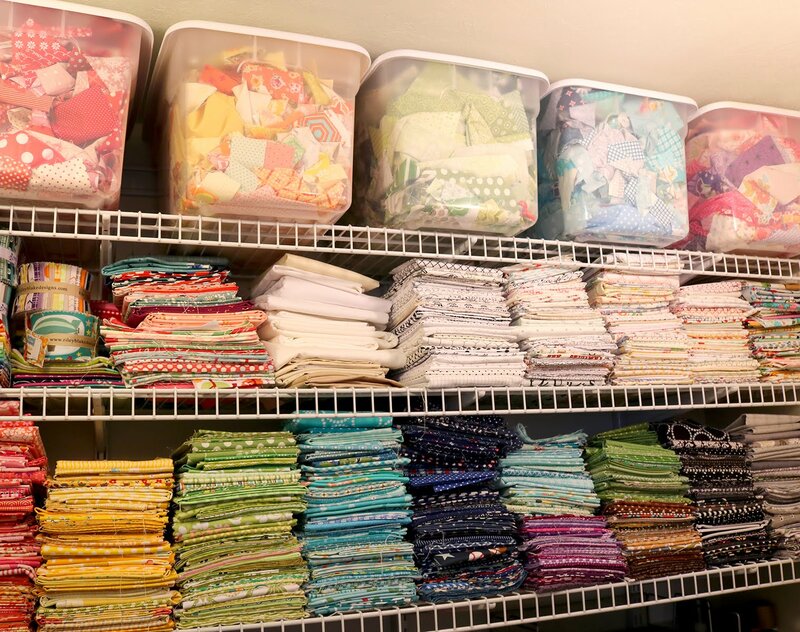 I have two bins set aside for Bonnie & Camille fabrics. 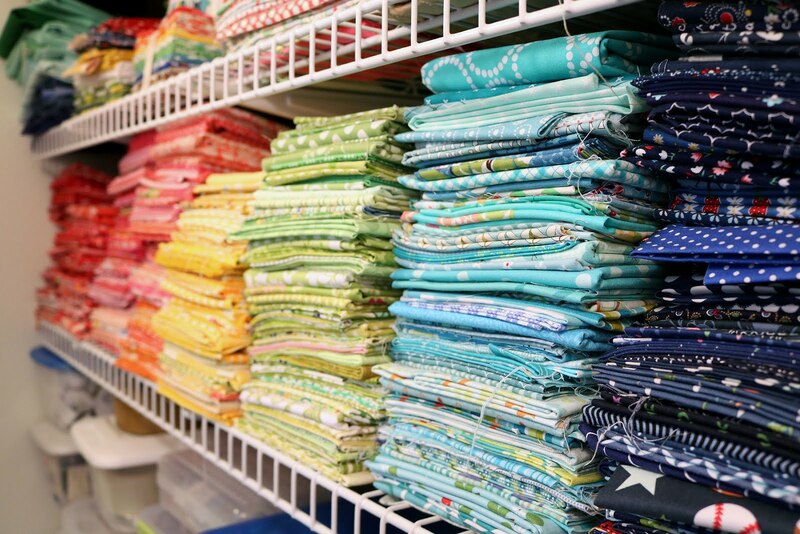 Another friend of mine is a huge fan of Lori Holt and keeps Lori's fabrics separate from the rest of her stash. You could also sort by style - all reproduction prints together, all low volume prints together, all Civil War together, etc. Most of my stash is very similar, but I do keep my 1920-30s reproduction prints together in one bin - and I've been using them a lot lately and have found it handy to have them all together like this. I also keep I-spy fabrics (mostly juvenile prints) in a box together and all Christmas prints together. 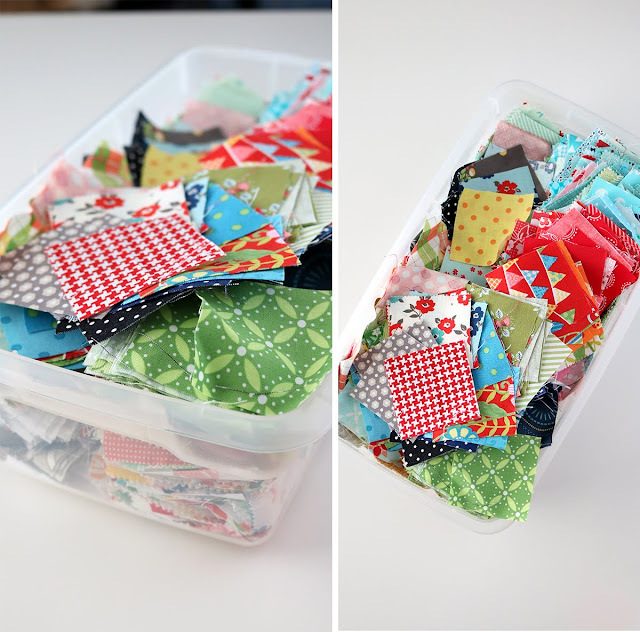 When I want to make a Christmas quilt I start in that bin and then add in some basics and blender prints from my stash. 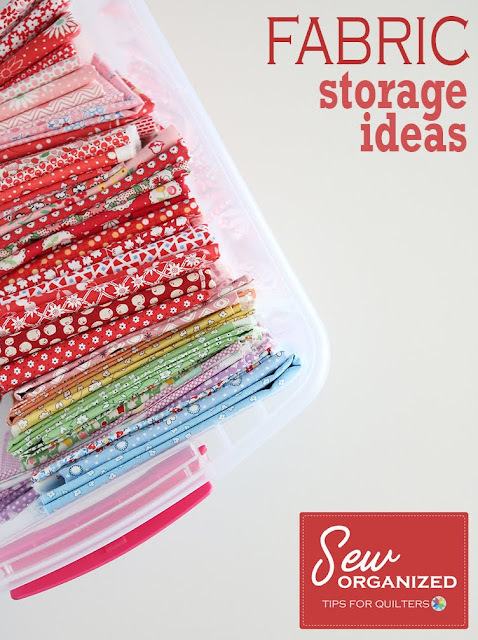 Need ideas on WHERE to store all of that fabric? Or in a filing cabinet? 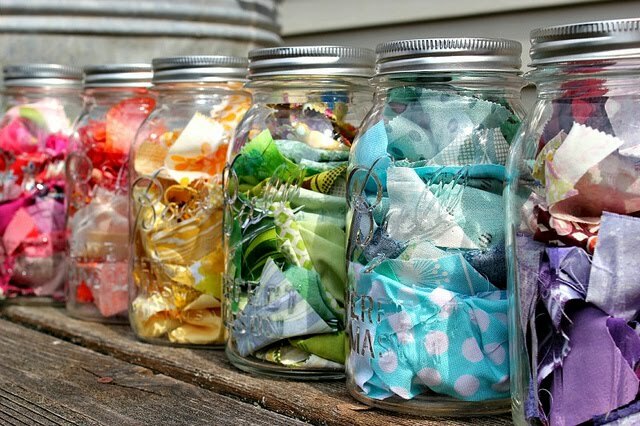 And another fun idea for scraps - mason jars in rainbow order! 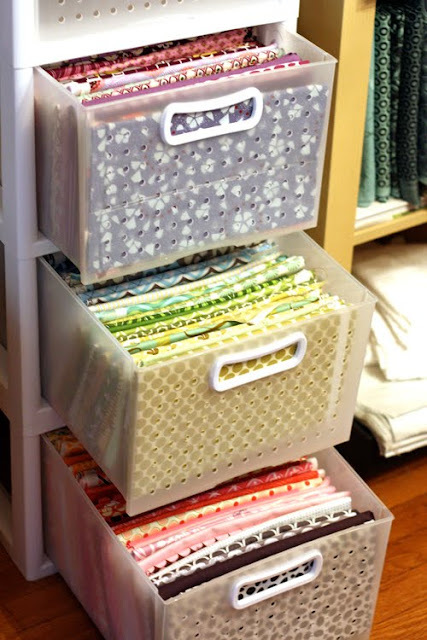 There's really so so so much out there for fabric storage and organization ideas and I know I've just scratched the surface! If you have any tips and ideas you'd like to share, comment below. Want to see even more ideas? 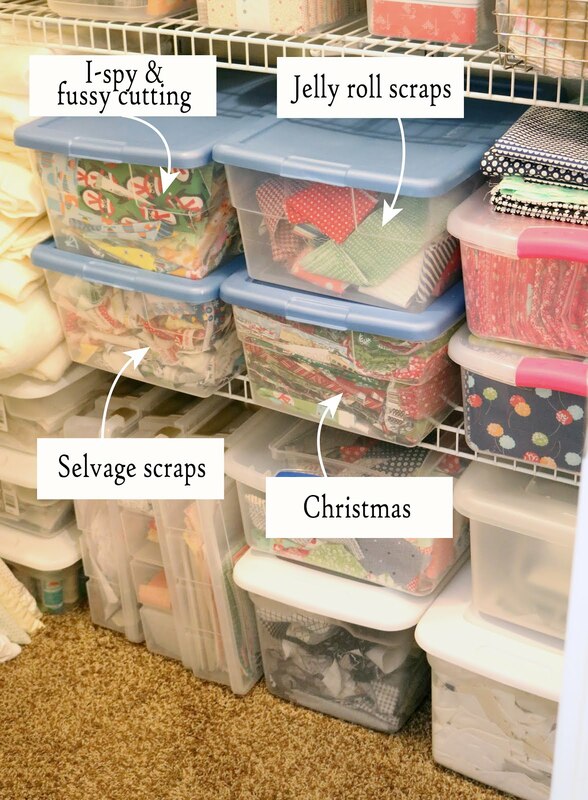 Check out my Sewing Room Organization pinterest board - and be sure to follow me because I'll keep adding great ideas to the board as I find them! Next week will be our final week and we'll be talking about organizing projects. I love reading your blogs. 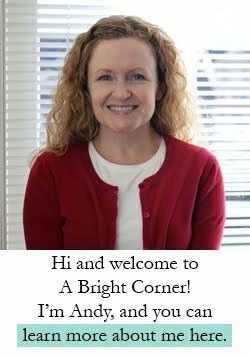 You have a gentle, helpful, friendly spirit : ) Thanks for all these ideas and your work in compiling them! 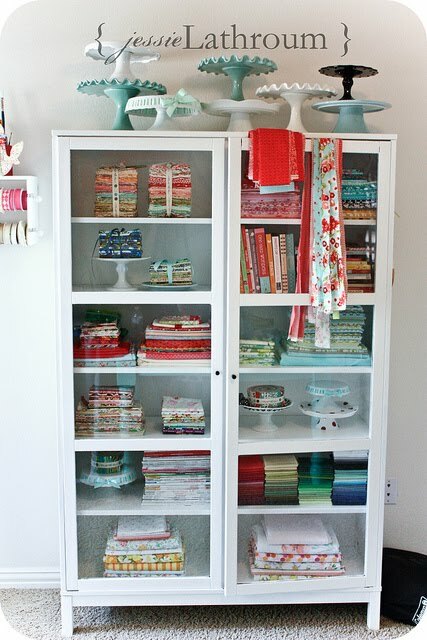 I'm glad to see you store your fabric in a closet. I worry about fading with open storage, although it does look beautiful! Thanks for the inspiration. 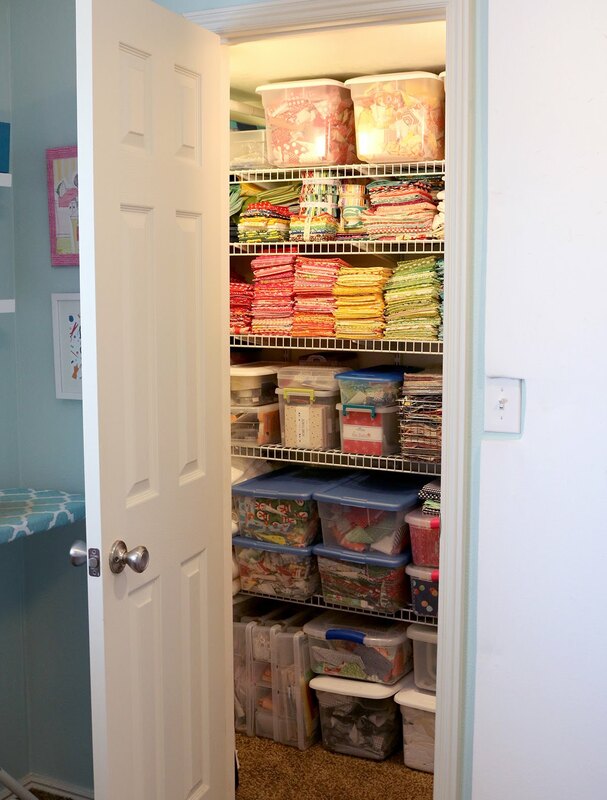 Wondering about best ways for storing yardage: folded on shelves, rolled, on cardboard as bolts? I buy 4-8 yard lengths on sale for future backs and don't have much shelf nor closet space so currently roll in dresser drawer or folded in tote. 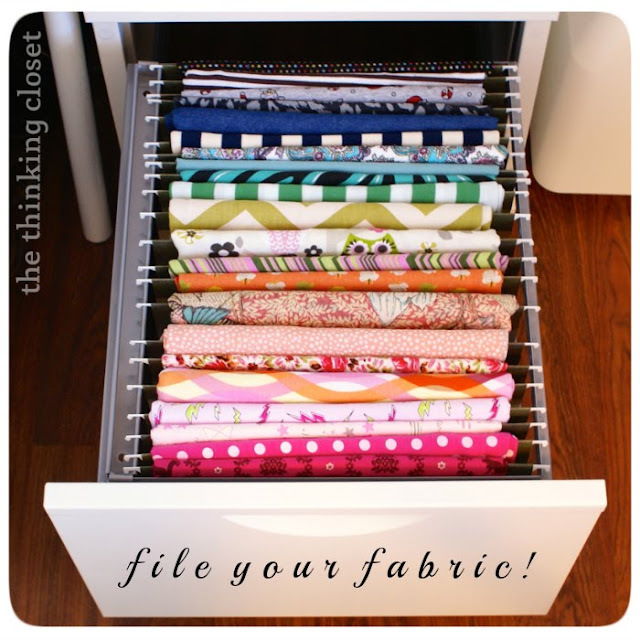 I keep large pieces of fabric destined for backing in a Rubbermaid tote. Ideally I would like to include them on shelving so I can see them, but I just don't have that much shelving space! Thanks for the great ideas. I am always looking for ideas on better ways to store things so I can fit more into my small space.